Dunwoody North is a sub-division on the southern side of the city of "Dunwoody" which is located at the top east end of I-285 just North East of Atlanta and its location makes it an excellent place to live, work and play. We have easy access to major roads and highways, MART train and bus transportation, shopping and dining and are just minutes from the high tech commercial and medical districts of the Atlanta metro area. We have mature tree lined streets with good schools, low crime, well built housing and nearby recreational facilities. Dunwoody North has it all going for it, and the Civic Association is working hard to make sure that it doesn’t change. 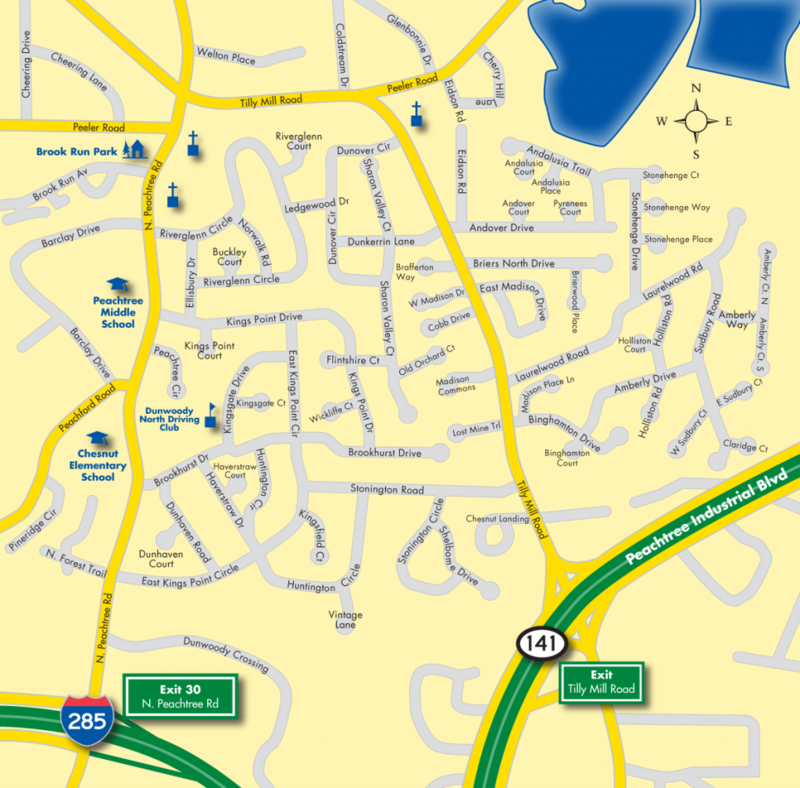 The Dunwoody North Communities are comprised of approximately 1,250 homes. The area encompasses North Peachtree Road up to Peeler and both sides of Tilly Mill Road down to Peachtree Industrial.